Or in plain words: what does UWiX do to keep your personal data save and what is stored exactly? According the new European G.D.P.R. law that will become affective on May 28, 2018 we would like to tell you all about the stored user data. Ofcourse we have a list with terms and conditions which, sadly enough, are needed but to understand what personal data is stored it's a lot to read. So, let's keep it simple as we explain the storage and usage of your personal data on our website. This site will store wether or not you have already replied to the cookie consent popup so that you won't be asked the same over and over again. In addition some embedded videos in our pages use a cookie to anonymously gather statisctics on how you've got there and which video is viewed. 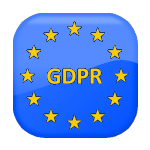 When you register on our site using the registration screen the following data will be stored: your name, username, password, email address and your agreement to the General Data Protection Regulation (GDPR). The data is only accessible by UWiX and will not be sold to anyone for any purpose and it will only be used for login and subscription purposes on this website. When you buy a subscription for one of our products we do need some more information for subscription and invoice purposes. In addition to your login data we store also the following: your country, state (when needed), full name, address, city, zip/postal code and when applicable also your company name, business activity and VAT number (for tax purposes). When you've purchased a subscription some additional information is stored: the type of subscription (which product), valid from/to, PayPal payment ID, PayPal state (complete, cancelled, etc. ), PayPal payment date and product price. This information is only accessible by UWiX and will not be sold to anyone for any purpose and it will only be used for login and subscription purposes. UWiX will only use the data for internal purchase reports and statistics. Your e-mail address will only be used to notify you when your subscription is about to expire, when it is expired or when it's renewed. These e-mails are automaticly generated by our website based on the expiration date of your subscription. Only users with a valid subscription can use the Support Ticket System except for the "Pre-Sales Requests" category ofcourse. When you add or reply to a ticket the following will be stored: your username, creation date, last reply date, the ticket state and ofcourse the ticket contents. We use a plugin to determine if your entered e-mail address has a Gravatar image and it will display in the Support Ticket System. The Gravatar information is not stored on our website. Your e-mail address will only be used to inform you about any replies to the support ticket(s) entered by you. When users download an extension from our website this information is user for internal download reports and statistics. The following will be stored: username (if applicable), ip address, country and the downloaded extension. The download data will only be used for internal research. We would like to know what the interests of our visitors are so we can program new extension you want or need! By using the form on our website you can contact us about anything that is not support related. You'll need to enter some information and the filled form will be archived for future reference. All the fields in the form will be stored: your name, subject, email address, message, your IP address, the date the form is send and your permission to receive a response by email. By giving your permission to receive a response by email we will only use the entered email address to contact you about the contents of the contact form. We will NOT sell ANY user data to third party companies! We will NOT use ANY userdata to attrack your attention or send advertisments except for the e-mails send as described above. You always have the possibility to delete your account from our website, so your personal user information will no longer be present on our website.